Fasting teenagers may have parental support or opposition. Fasting teenagers younger than 18 years of age need to request your guardian to fast. Some parents support teenagers on short juice fasts and others radically oppose it. If they oppose your fast, you may try convincing them to let you try one or two days of juice fasting and then see how it goes. If your reason to fast is due to health problems, then you need to go slowly, and learn as much as you can. I recommend the juice, egg white fast supplemented by omega oils and a multi B vitamin as the program supplies all your body’s needs in abundance. Do you have a juicer or a budget for fresh juices? The first step is to get the hang of a juicer and how to make juice. I would love to support you in this. It is very hard to be an overweight teen. Tom, would you be willing to help me? Just kind of guide me through the process? Sure I will support you, but I only offer support online to help more people. hi im 17 years of age. owns a jack lalanes power juicer. the problem is i just cant stick to fasting. i want to fast because im addicted to CARBS. when i mean addicted. REALLY ADDICTED! i fast for only 2 days and fail. haha. y? i munch on some tender bbq meat! ooh the taste. the comfort of food. How about trying 2 day water fasts and 1 day of juice per weekend. I started fasting after many years of drug addiction and had zero self-discipline. I went to the gym and started to exercise to develop my discipline. It took months but slowly I developed self-discipline. The key is to develop your thinking but forcing to to think of all the reasons you do not was to eat garbage and why you want to fast or eat healthy food. yes tom. and eating garbage akes me feel real low.. but its hard not to eat it. Read my other site, http://www.compulsive.ws it deals with the mental aspect of eating. i have a pool party in 4 days and i was wondering what the best way to lose weight is. im scared i will start a fast and break it before the party or gain weight. Yes dizziness is normal for almost everyone during water fasting and occasionally during juice fasting. You have to be careful not to hurt yourself. 2. Breathe a few times before getting up. 3. If you do start to black out, get down on one knee. Lower your center of gravity quickly is the solution. To know if fasting is healthy you will need to study. The entire site is designed around a healthy approach to fasting. Fasting is not eating, but you can eat veggies and restricted diets of fruits or vegetable are excellent for detoxification. hello, I am an x model. and have been on several fasts in my day. I just wish I would have had Toms wisdom throughout them. most of my friends in the industry fasted on diet pepsi before a shoot. it was a joke, its horrible for your body and leaves you shaky and grouchy. I fasted on carrot juice and everyone laughed at me and told me my skin would turn yellow. it never did, it was beautiful. and because I took care of myself I modeled until I was almost 40.!!! everyone can learn so much about their bodies during a fast and if you listen you wont grow old and ugly and if you are already then you can reverse it. with fasting there is hope for everyones health no matter the age or abuse. thankyou Tom. God bless you for helping people. !!! That is encouraging. If you send in a testimony and a pic I will gladly post it. One thing that is for sure fasting keeps you young. and when i stop fasting wil i gain it back right away? Fasting and doing sports is teh same as having surgery while jogging. Read the section on detoxification for athletes or do a serch for ahtletes on the site. You will gain some weight back in a few days. Read the post on fasting and weightloss. That would a guess. Read the section of fasting and weight loss. Hyponatraemia from any one fasting. From what I have seen is that juice fasting supplies high levels of electrolytes so you can do that and end your fear. The body is designed for the fasting state. It is has amazing resources that allows people to fast with complete health for 30 to 80 days depending on metabolism and fatty reserves. If you feel some negative effects from fasting you can always stop. Yes lemon juice during a water fast is excellent as the vitamin C has shown the ability to remove dead blood cells from the bloodstream. A vitamin C drip is even more effective. At the research center, the effect on dead cells being cleansed from the blood stream can be witnessed in a darkfield microscope within hours of starting the vitamin C drip and yes lemons do have electrolytes as does Gator Aid. LOL MM…. Gator Aid fasting. 🙂 You could be the first. Hyponatraemia is defined as low levels of sodium in the serum, that is less than 135mmol/L (normal range is between 135mmol/L and 145mmol/L). Sodium is the predominant positively charged ion (cation) in the body’s extracellular fluid. Severe hyponatraemia is when the serum sodium levels are below 125mmol/L. Hyponatraemia occurs in approximately 1% of hospitalised patients. Incidence rates can be much higher in cancer patients, for example between 15-50% in small cell lung cancer. Decreased serum sodium levels in cancer patients usually occur due to fluid overload, which is caused by inappropriate levels of hormone that prevents excretion of free water (antidiuretic hormone – ADH). This is known as the syndrome of inappropriate secretion of ADH (SIADH), and is easily the most common cause of hyponatraemia in cancer patients. I was wondering where that data came from. I am traveling so I cannot check it out now but once I am at a base I will, thanks for posting it. hi tom, how long would you recommend for a first fast? and would you recommend a water or juice fast for weightloss and general detox? Always start with juice fasting to get though the worst stages of detoxification. For a newbie starting with water fasting can end up in less than 24 hour in a state of nausea, vomiting, dizziness, and weakness due to the speed of toxins being released. For almost every health condition, I recommend alternating juice, water and dry fasting. For example, 5 days juice, 1 day water, one day dry, and 5 on juice. You will find that to be very effective. Use lots of supplement but only during the juicing days. Hi Tom,I had a question for you. I have been on a mostly water fast for going on 7 days. I feel great and have maybe 55 lbs to lose. I started the fast to try and level out some hormone issues (Iam 59) and I have been on Synthroid for my low thryoid for 16 years. Now my thyroid is high, they say and I haven’t been feeling well for about 2 months. Tired and and unfocused and generally not “myself” kinda of scary. Fasting makes me feel more stable and I am a little reluctant to quit too soon. How do you know when to quit. I definiately want to try this again. If I quit for awhile..how long is it safe before resuming again. Is there a rule of thumb?Thank you. I’ve lost about 7 lbs. Well done. No rule on when to start for shorter fasts but for longer water fasts it is good to wait 10 days to let the system build up nutrients but juicing a few days is better for nutrient replenishment. You can fast weeks. Just listen to your body. For most healing occurs after 10 to 20 of water fasting or over 2 weeks for juice fasting. For me it all started to happen after the 20 day mark of a juice fast. Keep us posted. could someboy help me please i am just about to turn 18 and i would like to start a juice fast but i am completely lost on how and what to do ? With 300 pages on the subject are you asking me to type it again????? Fasting is a science and a disciple. Unless you are willing to study and learn you will never have success. Slow down and study then ask. Are you fasting on what? Juice, water, pop. Your metabolism maybe slow. More info please. Fasting is a slow healing process that cannot be rushed. I am on my 2nd day of a dry fast. My goal is to shrink cysts, lose 25lbs, heal a herniated abdomen, get rid of cellulite, varicose and spider veins, change my eating habits, acquire more discipline as well as make spiritual breakthroughs at a crucial time in my life. I gained 20 lbs at the beginning of last year while visiting family and eating a traditional meal that I had foreknowlege that I gained 2 lbs each day I ate it. Haven’t lost the weight and can only workout for a few days with instant weight loss but then can’t fit it in for weeks. Have been healing from a sprained or even fractured toe from 2 1/2 weeks ago. My idea was a few days of dry fasting, then water fasting, followed by juicing and finally raw vegetables, then fruit added to finally adding proteins then whole grains. Just as gradual as possible based on my body’s response. Thus far, no hunger/thirst/headaches/pains. I’ve lost 1 lb. I’ve been reading the articles to get ideas to take me through each level. I’ll definately be juicing potatoes and parsley when I get to that stage. My past attempts at it were too time consuming–too much juice to consume in too few hours. Couldn’t fit it in my schedule. Any advice to achieve my results? I am so happy you have discovered fasting. You are on the right track. For everyone with serious health conditions, I recommend using the enema daily or every other day. The colon has a massive number of parasites that can cause serious health problem. Please document your process daily. At the end of the fast, sending us a scan of any medical records and documented changes to your condition would greatly advance therapeutic fasting as a science. Thanks, Tom! By the way, I posted this on the wrong board. I’m 33 years old. Not sure I understand. How do you do a laxative on a dry fast? I looked up some that you can buy in tinctures but I thought that most tinctures need to be diluted. Or aren’t enema’s water flushing? Any suggestions onwhich to use. 3rd day of dry fast. No hunger. A little whoosy at a point yesterday. Not my normal energy level but nothing to fret about. Barely thirsty. I’m at work now with no real slowdowns in momentum. Have lost 4.2 lbs by this morning. I will be doing some normal testing on Thursday, sept 25 as part of a health fair. Body mass, glucose, blood pressure and cholesterol. Not sure I can get any official documents but I’ll share them with you. otherwise, I can give weight and body fat levels on my own as well as talk about the tactile areas or visual ones I was working on. On a dry fast forget anything else as it will not help. Do not do a laxative on a dry fast as you will hydrate. Any documentation would help. If you get dizzy get down or kneel on one knee. You seem to have a slow metabolism. You are doing great. 1- how many glasses of juice can i take in one whole day ? 3- with a juice can i take green tea with splenda in it , during a fast? 4-if after this whole diet i take normal apple and a wholesome of carbs will i feel good in toilet without using enema? 5- does this diet ruin the looks or skin color as i am asian! Drink as much as you want, any fruits work except banana and mango as they do not pass the juicer but mush. Yes green tea if fine. The bowels will work after the fast but they take a few days to get on track so eat light. You will look more beautiful. My girlfriend is Asian and she looks the best when fasting. There is a glow to her eyes and skin. ok now i think i can start up with this diet as it wont ruin my skin neither my looks… how about carrott juice , is it allowed ?… and u dint tell me if i can sweeten my green tea with splenda or honey? which of them would be better?…. u really helped me in this country Pakistan of mine , here not many people know about it, u really helped me , thanks. i have another question … does juice and water in this juice fasting diet help getting metabolism fast? or it gets slowww ?? I put a post on Spendida on the front page of the site. Fasting slows the metabolism during the fast. You body uses less and less calories the longer the fast. After the fast if you eat a diet high in raw food and exercise the weight loss will be permanent. Honey is good for tea, and carrots are excellent at 60,000 units of vitamin a per pound. Carrot and pineapple are my favorite. but dont u think pineapple juice is fatining ?…. Yes but it depends on how much you drink. You can drink less juice or more of the low calorie juices such as cucumber and celery but the taste is not that great. that is very true , well tom i’d be very thankful to u if u please give me the list of veges and fruits that i can drink juice of … to loose weight ! more of the cucumber, celery, apple juices. How much is a total guess, as everyone is different. 1/2 lb for a slow metabolism. Please document your daily weight in the morning. I am currently living in a college dorm and do not have access to a juicer. I have been on the juice fast for two days now, drinking Odwalla juice and V8. I was wondering if these are adequate substitutes for freshly squeezed juice. Odwalla juice and V8 will work. Buy fresh orange and grape fruit as that is better. Juice fasting will help you recover faster. You can freeze juices with some honey and that is also juice fasting and will ease the pain of the operation. Thanks :-} I am a bit over loaded at the hospital so I appreciate any help in answering posts. I know this sounds silly and its definitely the wrong reason for going on a fast, but I am trying to lose 5-10 pounds in a relatively short period of time. The problem is that no matter how I diet, I’m not losing any weight. I am in a healthy weight range, 5’2- 116 pounds, so I don’t know if that has to do with the reason why I’m not losing anymore…or if I’ve reached a weight lost plateau.. In the past, I’ve lost 30 pounds by doing the grape diet (grapes only for a couple weeks). I’m worried that has ruined my metabolism. Will water fasting give me the results I need? Metabolism is constantly changing in response to metabolic needs. Eat less calories and it start to conserve. The longer the calorie reduction the more the body conserves. You cannot ruin metabolism. With water fasting you will lose the weight at the maximum speed possible. How did you feel after the grape cure? Did you regain the weight? What is your normal diet? How old are you? um, I want to start a fast, but there is no way my parents will support it. I eat breakfast before anyone else is awake and eat lunch at school. What do I do for dinner? my parents will just tell me that I’m not fat, but I’m not necessarily doing it to look better, i want to feel better. I want more energy and to just feel healthy. Thanks. Can you get or buy a juicer. Try eating only fruit for lunch. Just making juice and eating one fruit meal can increase health and energy. Even a 2 day fast can boost energy levels and wellbeing. I’m 17 years of age and I’ve gotten permission from my parents to fast. I’m 138 lbs and 5’4, so I’m not overweight but I need to get back into shape. I think this summer would be a great opportunity to change my lifestyle and I think fasting would be a great way to start off to my summer, and learn some self disipline. Ive done alot of research and I think I should be starting off slow, like maybe a 7-10 day fast of juices, and maybe days of just water depending on how I’m feeling. My only concern is that after the fast is over I would gain back the weight I lost and feel like a failure! Is the best way to go about ending a fast easing out of it, and just eating vegitables and fruits for a while? Fasting we remove the newer fat first. The way the fat come off is the opposite to how the fat formed on the body. Your plan is good and very safe. If you can eat natural foods and cut out the refined oils, fats sugars and starches you weight should continue to reduce after the fast. To break a fast soft fruits are the best for day one then veggies and fruits. There is a category on fasting.ws called breaking the fast. I had muscle pain and cramps in the legs that was cured by fasting. Stomach pain can be due to many factors. Juice fasting will help your digestion and heal the stomach. On a fast of 5 to 10 days you would see a reduction in pain and symptoms but healing usually take about 20 days to 30 days of juice fasting. I also forgot to mention something evry important! The other main reason I wanted to do this is because I’ve read it can help heal health problems. I’ve been experiencing very intense stomach pains and muscle aches, and was wondering if this could potentially be fixed, or if it would require me to fast longer! Thanks tom this really helped alot! At the moment I am currently without a juicer too. Would i be able just use a blender in the mean time? Maybe by just using watermelons, cantelopes, tomatoes. ( those types of fruits and vegitables where it would be easier to liquify with minimal chunks of fruit and stuff left in my juice? I could also strain the juice after? )Because I know you recommend using a juicer for a reason, assuming its harder to digest fruits and vegitables not made in a juicer. Thanks again! I cant wait to start my first fast next week! You can use the blender on melons and strain the juice but you waste lots. A blender is inefficient and and only do a few fruits. Orange grapefruits and lime are good as you do not need a juicer and are better fresh squeezed. I’ve been getting fasting support from your site for a whole year now. I have a 9 year old son & two daughters ages 11 & 13. I know this link is for teenagers but, my teenager is the only one not interested in fasting. My 9 & 11 year olds want to fast with me to draw closer to God. I told them maybe they could do a raw food fast. Is that safe for them? Will a raw food diet provide all the nourishment their growing bodies need? On a raw food diet the only thing missing is B12. You can get quality portein from sprouts and nuts. Essential oils from flax. It is hard on kids if you are strict as they will be pressured at school to eat junk and you will look like the over controlling parent to them. I’m not going to be strict about it at all. I’m only giving them permission to do this. If it’s something they want to do, I will allow it so long as it doesn’t jeopardize their health. I will see to it that they are supplementing B12 as well. They do get offered junk food sometimes, but they’ve always turned it down. They’re so smart & I’m so proud of them! Wow amazing kids. You are blessed indeed. my girlfriend is starting to fast and im not too sure how it works or the side effects but im worried about her and i just want to make sure nothing goes wrong. She began to fast because she thinks shes overweight and her dad tells her she is. She began throwing up her food and did so for about 4 years on and off but she said she stopped because she read it could cause damage to her esophagus so she told me shes going to fast and i cant convince her that she looks completely fine the way she is and doesnt need to change. Anyways shes currently on a water fast and only eats when her parents make her (whom dont know shes fasting or even bulimic) and then she throws up her food then. Sorry for being so long i just want to know what i can do for her whether i should support her, monitor her fasting to make sure she doesnt do it for too long, or try and make her stop. take care of that soon. Fasting should have a solid, stable motive behind it. on the same page, you may be able to get your girlfriend some help together. you will regret it when something happens. her in His hands! Please believe, and you will get help. this person and a professional who can say and do the right things to bring her out of her current mindset. im 17 and shes 16. i know im going to regret it if i dont do anything i have to do something, i just am not exactly sure what to do. And to be honest i dont know if she does have any sane authority figures other than maybe her dads girlfriend but im not sure if shes close enough to talk to her about that when she wont even even tell her own mom or dad. I guess i can try to talk her into getting with a professional but i really dont think she would do that..
Hi 2424, The only options you may have are to educate yourself on her condition, and be there for her. Keep in contact with her. Show her you care. And try to find some area of interest you can both share. Maybe getting her mind on something that she likes will pick her up! I haven’t heard you mention any faith, so I’m assuming you are not relying on that. All I can say is that Faith is very powerful. Seeing it work in my life and others, in worse, hopeless situations has been nothing short of amazing. We can give you all the support you need on your fasting journey, but at the end of the day it all comes down to you and the focus you need to climb this hill that has been dragging you down! 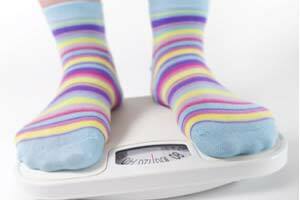 Can you tell us a little more about yourself, age, hight, weight, what your ideal weight would be? Have a look at my water fasting videos to give you some idea about water fasting. I am 15, 5’3” ,150 pounds, and my ideal weight would be between 126 and 115. I am small framed. I have fasted throughout my life however, my parents and I have not planned a fast for more than 4 days. First is that you will need the guidance of your parents. You can get them to email Tom and he will give you full guidance merrela. juice/veg fasting would be the best way for you to go. You can loose weight safely this way. The thing with water fasting is that it is very hard on the body, but the biggest factor is that your body is still developing at the age of 15, also water fasting will make your insomnia worse. One big thing that i have to say to you merrela is follow your juice fasting with exercise and your depression and stress will be a distant memory, trust me when i say i have been where you are at now, focus and streanth is the key. Thanks soooooooo much for the advice Keith, I will do so. I can call you if you want. And yes juice is the way to go for healing depression. Depression is to see the negative and fasting will not change that. That is a decision. I have been addicted to caffiene for quite some time and usually consume 4 or more soda a day. This along with my already naturally high blood pressure has given me heart related issues. I often have heart palpatations and commonly feel as though I’m about to faint. Recently, I was on vacation and had a panic attack. It was terrible and it scared me. It made me realize I need to get on the road to a heathier me and after lots of googling, I found this site. What I want to know is if i decide to juice fast, how long should it be? How well would juice fasting help me? Other health issues: mild to severe depression and anxiety for many years, chronic headaches due to blood pressure, and I am slightly overweight. A juice fast will do you wonders. Try to make fresh juice daily to cure the addiction to soda. To me there is no comparison. Not only do you need a fast but a total diet overhaul. You also have to get your thought-life under control. If you are serious about fasting, we will help you. For those condition 30 days is the best. The changes will be like getting a new life. What you are living in will become a bad dream. Thanks for the info Tom. Yes, I am serious about fasting but im concerned that my eating habits will prohibit me from a succesful fast. Throughout the day, I’m mostly bored and I eat little things ( like a piece of bread ) when im bored. How do I get over this? I’m 17 and I would really like to begin some sort of fasting I just don’t really know where to start exactly. I have gone for about two days without food and felt fine and like I could go longer. Is there anything I should read to help me or guide me into fasting correctly? I’m 18, 5’6″ and 130 lbs. i know that this weight is NOT bad, actually its around the right size for my age and height. I just started this water fasting (with lemon juice) about 3 days ago. Is it alright to eat crackers sometimes throughout this process or other small healthy foods. I found myself feeling like i was going to pass out while walking down the hallway, and then i was getting this feeling like i was going to throw up. Im unsure if this is something that everyone goes through, or if my body is rejecting this sudden change of diet. I would like to flatten my stomach and thin out my thighs if possible, but i dont know how long it will take to get to where i want. I have somewhat of a high metabolism. I eat A LOT but i dont gain too much weight, but i have gained about 5lbs in the last few months from excessive eating. Also, is exercise also necessary when water fasting? I am 16 and I really want to try to fast. My family is going to start to do it one day a week, however, I would like to do it longer than that. I told them that and now they are beginning to worry. I just want to try to fast because I want to gain some healthy habits. Should they really be worrying that much? Hi Jen, Your body is still growing. You need nutrients, vitamins, minerals and enzymes. You won’t get all that water fasting. Try juice fasting for anything longer than a day or 2. When your body has matured fully (18-19 years for a female) you can water fast all you’d like! I want to start fasting but I have never done it before. I want to do a 3 day water fast but don’t know if it is safe. Would it be better if I maybe start off with a 1 day water fast or a juice fast? I don’t know if you need to know my age to determine wheather a fast is safe for me, but I am 15, nearly 16. I forgot to ask, should I tell my parent that I am fasting or would they just worry? Please Tom, help me. I want to fast but I want to do it safely. Should I do a water or juice fast and for how long on my first time fast? You are too young to do any sustained water fasting. Start with a 3 day juice fast to get your feet wet. After you have done a few successful juice fasts you can try a short water fast of 1-3 days. No more until your body has fully developed. That is approximately 19 years old for a female, and 22 for a male. Thanks Ron. I will do a 2 day juice fast at the weekend. Should I tell me parents though? Danni, It’s always a good idea to be honest. Unfortunately “fasting” can be a shock to people who then have a negative reaction. If you decide to tell them I would first be informed about the positive aspects of fasting. Especially “juice” fasting. Then present it in a positive, natural manner. If you seem uninformed and unsure of yourself, they may get worried. Thank you for your advise Ron. But I do not believe in God so probably won’t pray. I want to fast to detox/ clease my body because I read that it fast does this. I don’t want to fast for religious reasons. Do you have to beleive in God or be religious to fast? Well no Danni, believing in God is never a “requirement”. I just personally feel that anything GOOD is connected to Him. I need to believe in God. I once questioned Gods existence too. But, many things happened in my life that put me in his direction and care. When God exists for you, he will make it known. My children are questioning it now! I just tell them to keep an open heart and mind. Sometimes the word, voice or signs are there but we don’t listen or see it. This is normal. But to shake a persons hand in greeting them…you also need to extent yours. Thank you Ron, again for your advise. Things have happened which make me question the existance of God. Like war and people suffering all over the world. I just don’t been in it and I have tried to be opened minded. I don’t question my belief in God. I strongly believe that there is no God of any kind, probably like you strongly beleive that there is. I believe in science: like the big bang and the theory of evalution ect. Science, to me, make more sense than God. I can get my head around it but I can’t get my head around such a thing as God or a god, but this is just my opinion. Are juice fasts eaiser than water fasts? Hi Danni, Yes juice fasting is much easier and very healing for your body. You will also clean and detox your body using juices. There is very good nutrition in it too! There are answers to all the questions about life in the bible, and on certain sites on the net. In short…there are reasons that war, poverty and suffering exist in the world. And if you think about it long enough you will realize…. that man has the means to stop all of it themselves!! I understand but just can’t or don’t believe in God, I believe in science, it makes more sense to me. How do I start a fast? I am going to try a 1 day juice fast 2morro, see how it feels and see from there. I’ve read all your comments and I have a question. I have asthma and I’ve read that fasting once cured it. But I’m only 14 I’d like to fruit fast. My mom is close to god and I want to be close to him as she is. I’am also 4’11 and 88 lbs and is a fruit fast for several days adequet? Hi kte. Tom is away right now. I will try to answer your question. You are too young to fast. Your body hasn’t fully developed as of yet. I would recommend a mostly raw food diet. Studies indicate that children who had diets that contained a high intake of fruits and vegetables were less likely to develop asthma than those whose diets were less healthy. Also vitamin C is very good for asthma sufferers. As well as many herbs and nutrients. Stay away from smokers, dust and mold. Environment and diet are the biggest triggers of an attack. Hi I’m 14 years and I’m the doctor says I’m done growing I’ve been eating 1200 calories for 4 months and only lost 5 pounds. Now i weigh 145 and I’m 5′ 8″ but i have a real small frame. Can you give me some advice on this, I am not anorexic , I want to lose 15 pounds and no more then 20 pounds because then my bmi will be to low, also I am vegetarian and eat real healthy, I eat 1200 calories since I mostly eat veggies bread and yogurt, and I think this will be good but does it keep weight off or does the weight loss rebound? At 14 years old, you haven’t stopped growing. Stop eating bread, exercise and you will lose weight. Hello Ron, I just wanted to know if appetite suppressants can be used while fasting. What type of fast are you on?…And why would you want to use appetite repressants? Fasting is and should be pure. Maby you should read more into fasting and why fast??? can i do fasting at differant periods of time? im 17 years old and im 5 foot 4 and i currently weigh 60 kg, i wanna loss 10kg by two months is it possible with a water or fruit fast? because i have no juicer since i am currently in a boarding school!